Latest information of sea ice and Information sources on sea ice is also available. 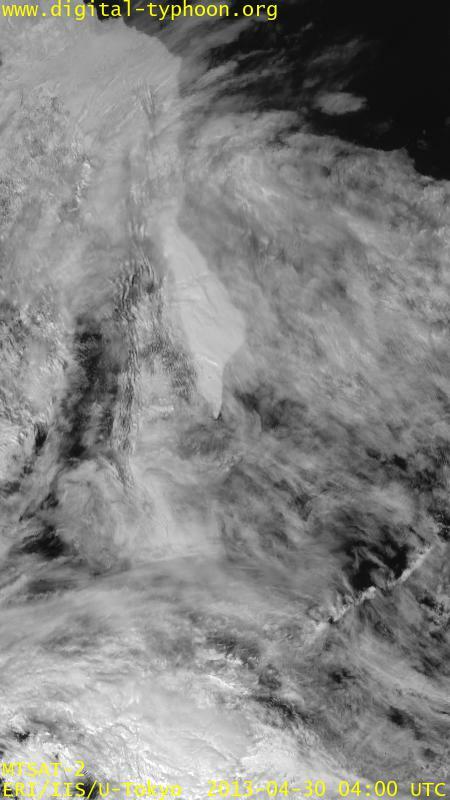 This page shows satellite images of the Sea of Okhotsk in terms of the latest image, and time-lapse animation taken every hour from 11:00 JST to 13:00 JST (From 02:00 UTC to 04:00 UTC) every day from January 1 to April 30. 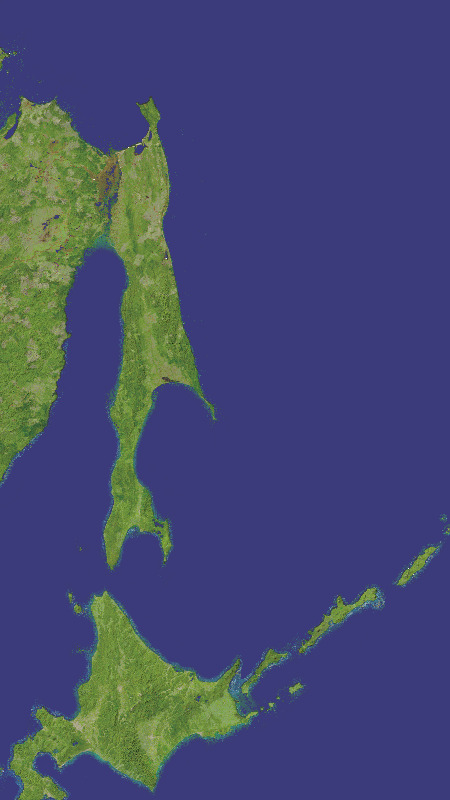 In the left side of an image, you can see the island of Sakhalin and on the right of it you can see a white band extending vertically. This is the drift ice drifting on the Sea of Okhotsk. Hokkaido is located at the bottom left. Clicking the left image starts the time lapse animation. Drift ice can be recognized by different types of motion; clouds change their forms every image, but the band of sea ice changes slowly in one day (reference: other sources).